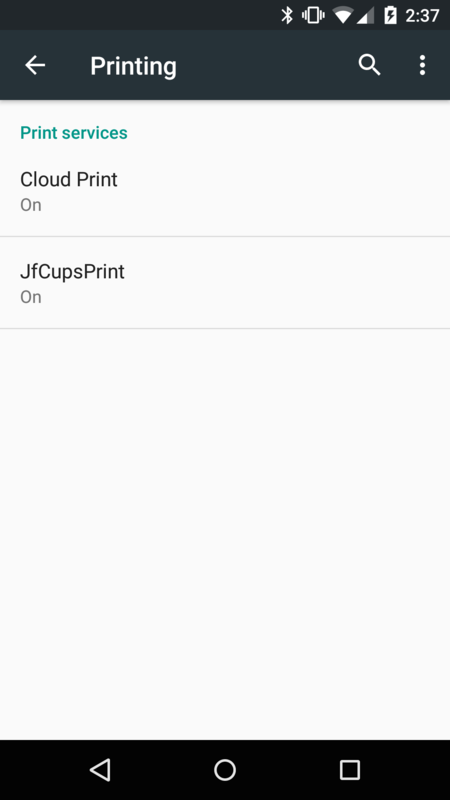 Port of cups4j to Android. Original work was created by Jon Freeman, it included an app that reacts to the SEND intent to print documents. See the Wiki for more information about how to use it. This app wasn't widely tested, it needs your help for better quality. If you find bugs, either submit a new issue or fork/fix/submit PR. Please use the develop branch for testing and troubleshooting. The master branch is code published to Google Play. The fdroid branch was created in an effort to be compatible with f-droid.org; however, this effort was merged into develop and is intended to be merged into master.